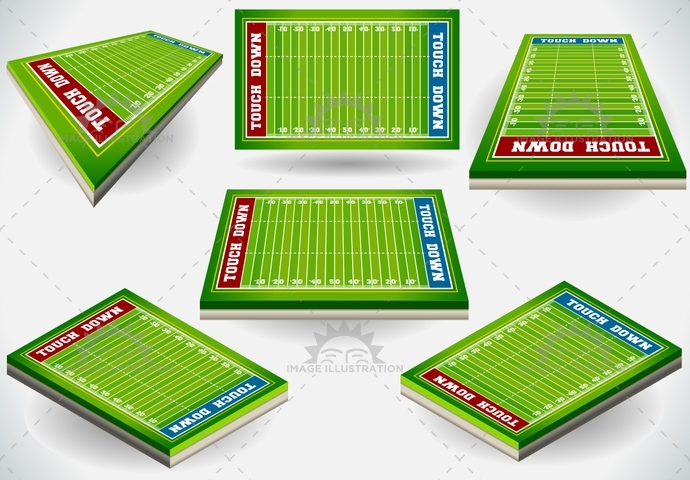 Stock product - detailed vector illustration - 3D Building Collection - Sport Fields 01 - created by Aurielaki. Image formats EPS AI JPG. SKU: Sport-Fields-01-Building-3D-AurielAki. Category: Sport Vector. Tags: american, arena, athletics, background, championship, competition, design, field, flag, football, game, goal, grass, green, ground, infographic, isometric, line, lines, outdoors, play, soccer, sport, stadium, texture, touchdown, turf, uniform, yard.